These numbers are based on costs for the 2018-2019 school year. Amounts will change slightly from year to year, but as the cost of college increases, the scholarship packages will correspondingly increase. Your official financial aid award will be included in a letter directly from CMC. Students are encouraged to pursue outside scholarships to help finance books, travel, personal, and health insurance expenses. Outside aid which exceeds these budgetary items, will reduce Claremont McKenna College Scholarship dollar for dollar. 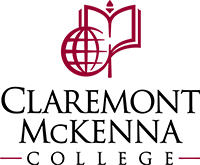 With the scholarship sponsor's permission, outside scholarships can be used to purchase a personal computer to minimize the Claremont McKenna College scholarship reduction. Federal and state grants are not considered as outside scholarship assistance. Students are expected to cover their own books and travel expenses as part of their contribution from summer work and/or academic year earnings. The book allowance is based on the amount students typically spend for books and supplies. Travel allowances are based off the permanent home address of the student. Grant aid is not provided for these costs of attendance. Claremont McKenna College requires all students to have health insurance, either through the college or their family. 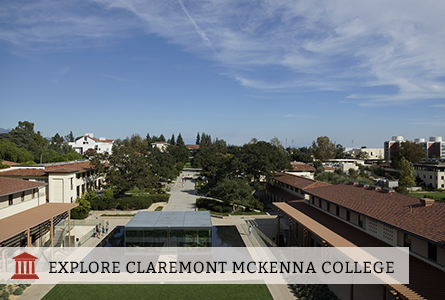 Claremont McKenna College provides grant assistance for half the cost of the college health insurance ($1,178) if students are not covered by their family plan. Students may request a loan for the second half if they do not have outside scholarship funding to cover this amount. Students must maintain satisfactory academic progress toward graduation to remain eligible for financial aid. Scholarship is only guaranteed for 8 semesters. In very limited cases, additional semesters of aid may be available through an appeal process; but if the appeal is granted the package will include loans. QuestBridge Scholars will need to reapply for financial aid each year of attendance. Students who study abroad sophomore or junior year may take out a loan because they cannot participate in work-study while abroad. If they are off-campus for one semester, they are permitted to work up to the full amount of their work-study award during the semester they are on campus.